Infant Pop and Sit Portable High Chair Perfect for Feeding or Playtime. The Summer Infant Pop N’ Sit Portable Booster supports on-the-go lifestyles and makes feeding time easy with a removable, BPA-free tray, innovative pop and fold set-up, and over the shoulder carrying bag. 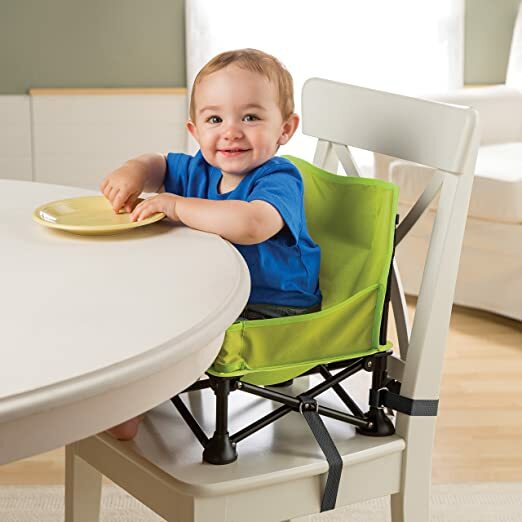 With its lightweight design and compact fold, the Summer Infant Pop N’ Sit Portable Booster is perfect for dining on-the-go or even in the patio with your little one. When your baby needs a place to eat, just pop it open. Bon appétit! POP! was designed with parents in mind. POP! lightweight products are ideal for parents on the go and setup in seconds.